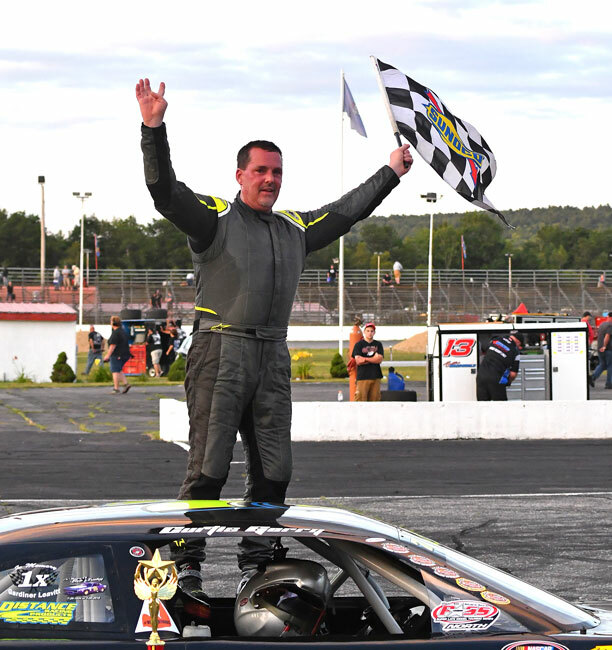 "Roads To Oxford & Richmond"
Oxford, Maine - Curtis Gerry of Waterboro continued his recent dominance of Oxford Plains Speedway Pro All Stars Series North competition, outrunning Cassius Clark of Farmington and the rest of a 35-car starting field to claim victory in Sunday's 150-lap Super Late Model feature race. For Gerry it was a fourth consecutive victory in Pro All Stars Series North competition at Oxford Plains Speedway, a streak that began with the 44th Annual Oxford 250 last August. 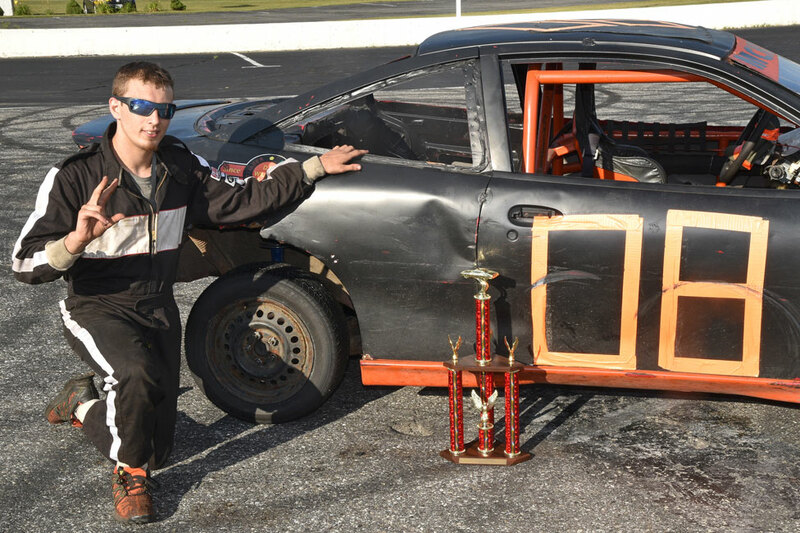 It was also a series-best fourth PASS North victory of the season, including a 200-lap score at Scarborough's Beech Ridge Motor Speedway. Gerry started the race from 11th position and methodically raced his way into contention while Cassius Clark set a blistering early pace aboard Rollie MacDonald's King Racing ride. Gerry made the most of a couple of late-race restarts to outgun Clark in the late going. Clark crossed the finish line in second position, about a second-and-a-half in front of Manchester's Reid Lanpher. Current PASS North Super Late Model championship points leader DJ Shaw of Center Conway, New Hampshire was fourth, followed by Travis Benjamin of Belfast. Benjamin, who needed a provisional starting position to claim a spot on the starting grid, lined up for the initial green flag in 31st position. Windham's Brandon Barker had a strong run, resulting in a sixth-place finish. Kelly Moore was seventh after starting 29th. Ellsworth native Wyatt Alexander, Westbrook's John Peters and Ryan Robbins of Dixfield filled out the top ten. 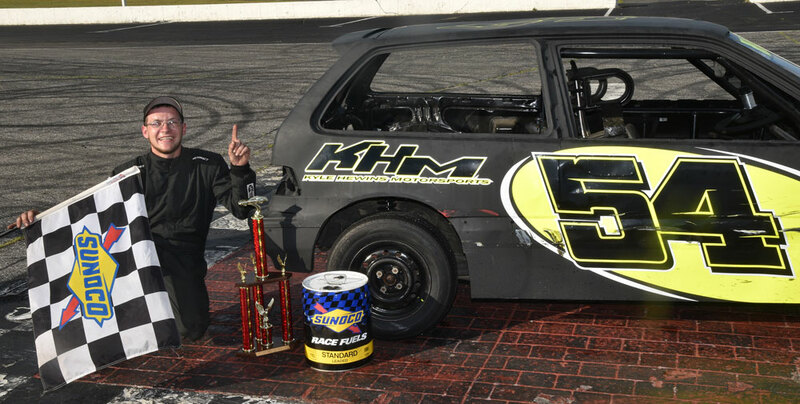 North Yarmouth Mods rookie Mark Napolitano took a turn at leading the race and nailed down a career-best fourth-place finish. Bruce Helmuth of Wales nursed his somewhat-crippled mount to yet another top-five performance. 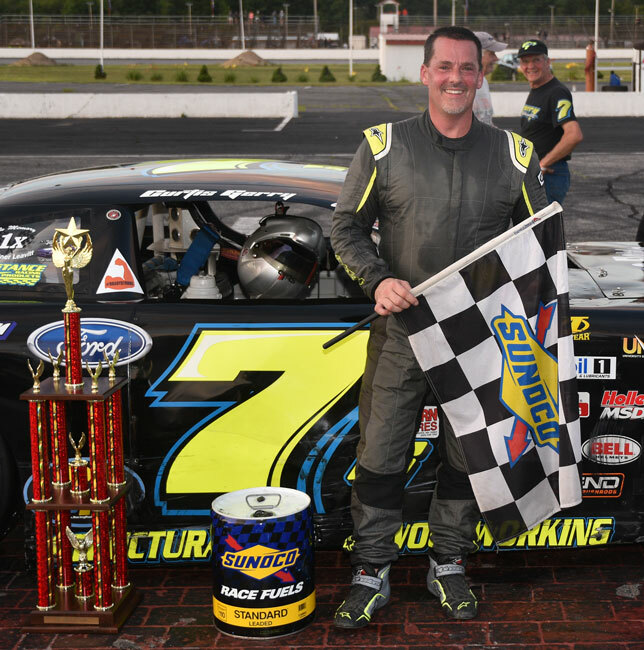 Mike McKinney pressured the winner throughout the extra-distance test for the four-cylinder Budweiser Championship Series class, claiming hard-earned runner-up honors in front of former division champion Shaun Hinkley of Oxford. Buckfield's Chad Wills and Eric Parlin of Mechanic Falls rounded out the top five. 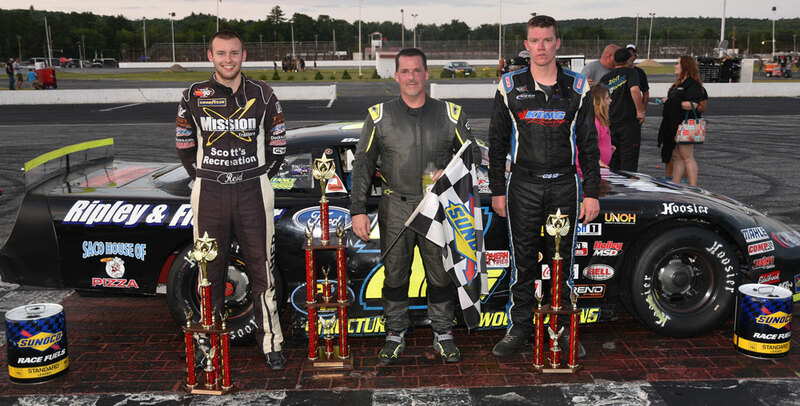 Pro All Stars Series North Super Late Model (150 laps) 1 7 Curtis Gerry, Waterboro, ME; 2 13 Cassius Clark, Farmington, ME; 3 59 Reid Lanpher, Manchester, ME; 4 60 DJ Shaw, Center Conway, NH; 5 7 Travis Benjamin, Belfast, ME; 6 88 Brandon Barker, Windham, ME; 7 47 Kelly Moore, Scarborough, ME; 8 96 Wyatt Alexander, Charlotte, NC; 9 51 John Peters, Westbrook, ME; 10 36 Ryan Robbins, Dixfield, ME; 11 00 Bryan Kruczek, Newmarket, NH; 12 9 Alan Tardiff, Goodwins Mills, ME; 13 93 Ray Christian III, Uncasville, CT; 14 24 Mike Rowe, Turner, ME; 15 7 Glen Luce, Turner, ME; 16 60 Tim Brackett, Buckfield, ME; 17 23 Lonnie Sommerville, Barnsville, NB, Canada; 18 61 TJ Brackett, Buckfield, ME; 19 40 Nick Sweet, Barre, VT; 20 35 Derek Ramstrom, Worcester, MA; 21 14 Scott McDaniel, Livermore, ME; 22 8 Calvin Rose, Jr., Turner, ME; 23 90 John-Michael Shenette, Concord, NC; 24 78 Ivan Kaffel, Raymond, ME; 25 4 Ben Rowe, Turner, ME; 26 12 Derek Griffith, Hudson, NH; 27 15 Mike Hopkins, Hermon, ME; 28 94 Garrett Hall, Scarborough, ME; 29 97 Joey Polewarczyk, Jr., Hudson, NH; 30 72 Scott Robbins, Dixfield, ME; 31 03 Joe Squeglia, Jr., Derry, NH; 32 09 Mike Landry, Oakland, ME; 33 41 Tracy Gordon, Strong, ME; 34 29 Austin Teras, Gray, ME; 35 54 Johnny Clark, Farmingdale, ME. PASS Mods (40 laps) 1 60x Adam Gray, Belchertown, MA; 2 85 Jariet Harrison, Freeport, ME; 3 60 Gary Shackford, Center Conway, NH; 4 14 Mark Napolitano, North Yarmouth, ME; 5 25 Bruce Helmuth, Wales, ME; 6 10 Kate Re, Lovell, ME; 7 19 Ben Tinker, New Gloucester, ME; 8 16 Patrick Sullivan, Poland, ME; DNS 2 Randy Sanborn, West Baldwin, ME. Bandits (25 laps) 1 54 Kyle Hewins, Leeds, ME; 2 08 Mike McKinney, Berlin, NH; 3 2 Shaun Hinkley, Oxford, ME; 4 52 Chad Wills, Buckfield, ME; 5 53 Eric Parlin, Mechanic Falls, ME; 6 79 Travis Lovejoy, Waterboro, ME; 7 5 Jake Hall, Oxford, ME; 8 18 Dustin Salley, Poland, ME; 9 1x Kevin Varney, Mechanic Falls, ME; 10 77 Rob Crepeau, Minot, ME; 11 12 Tyler Green, Turner, ME; 12 42 Chris Foster, Lisbon, ME; 13 24 Travis Verrill, South Paris, ME 14 8x Josh Knoll, Mechanic Falls, ME; 15 51 Kurt Hewins, Leeds, ME; 16 8 Jeremy Lauzier, Rumford, ME; 17 4 Dennis Scribner, Otisfield, ME. 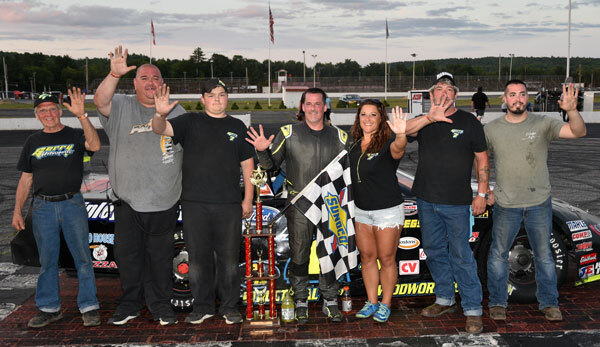 NAPLES, ME (July 25) - With a month left to go and over 50 drivers already entered, the Pro All Stars Series (PASS) North Super Late Models will get their final shot this weekend at Oxford Plains Speedway to lock up a guaranteed starting spot for the 45th Annual Oxford 250. Additionally, they will also have the opportunity the get locked into the most anticipated short track event of the year, the PASS Commonwealth Classic at Richmond Raceway in October. 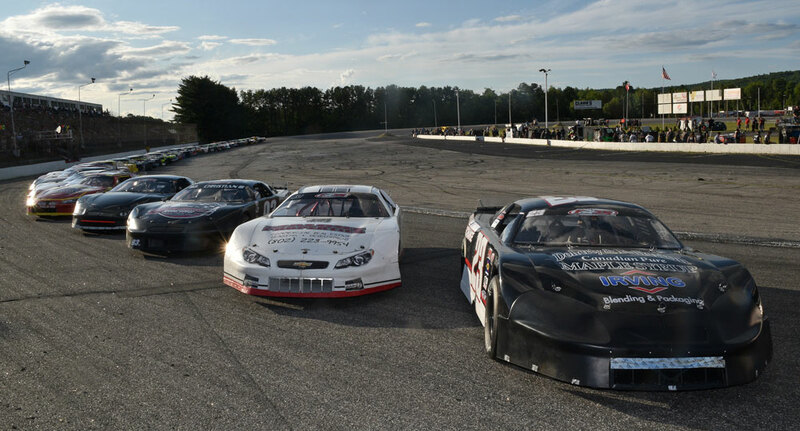 The Budweiser Super Late Models will start off the busy weekend on Saturday night at Oxford Plains Speedway and will also feature Kids Race Car Rides and a full slate of action in Street Stocks, Bandits, Figure 8s, and Rookies. 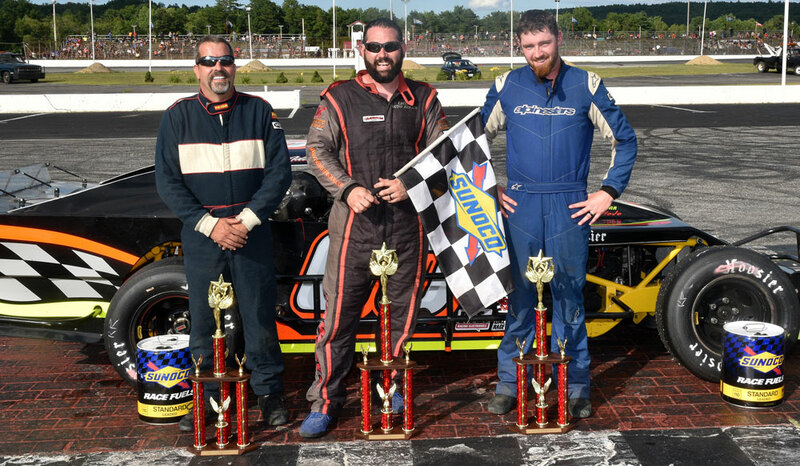 Then on Sunday afternoon, an international cast of drivers will have one last opportunity in New England to get locked into August's 45th Annual Oxford 250 or the inaugural PASS Commonwealth Classic at Richmond in October. 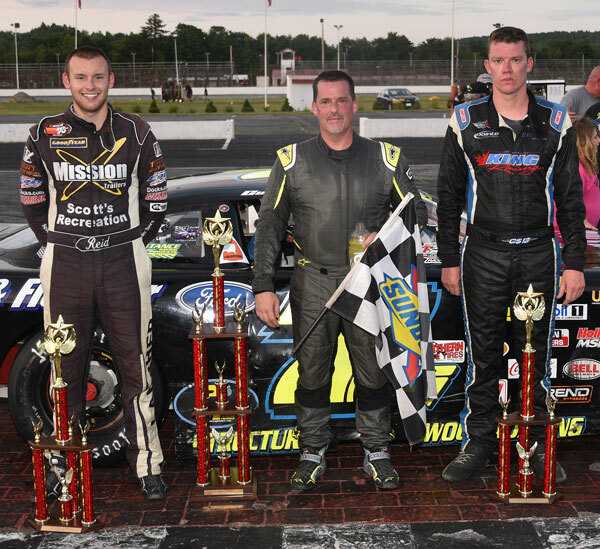 The race for the PASS North Super Late Model championship is developing into a classic between former champions and New England upstarts. Two-time PASS North champion, DJ Shaw, leads Hudson, NH's Derek Griffith by just 23 markers. 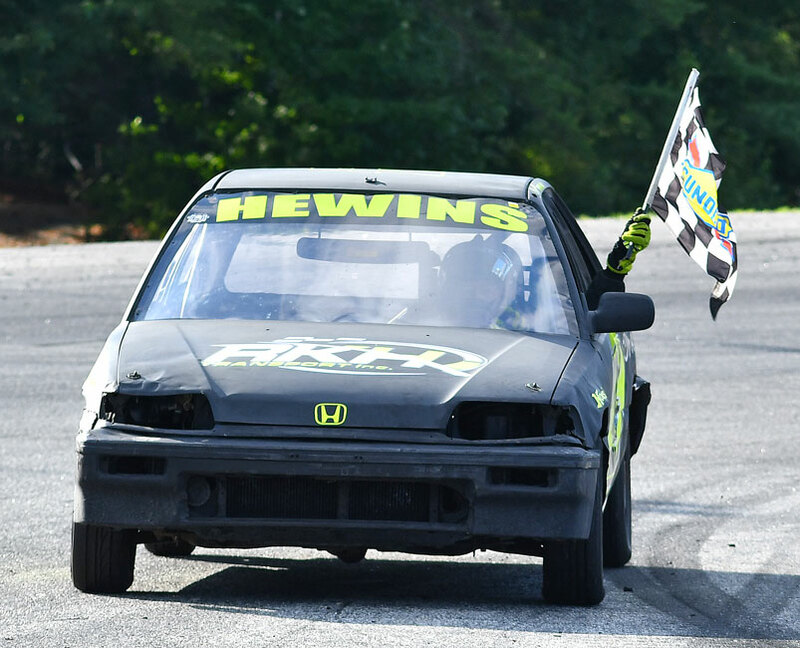 While fellow, two-time champion and Oxford 250 winner, Travis Benjamin, and Scarborough, ME's Garrett Hall, remain in contention for the championship. 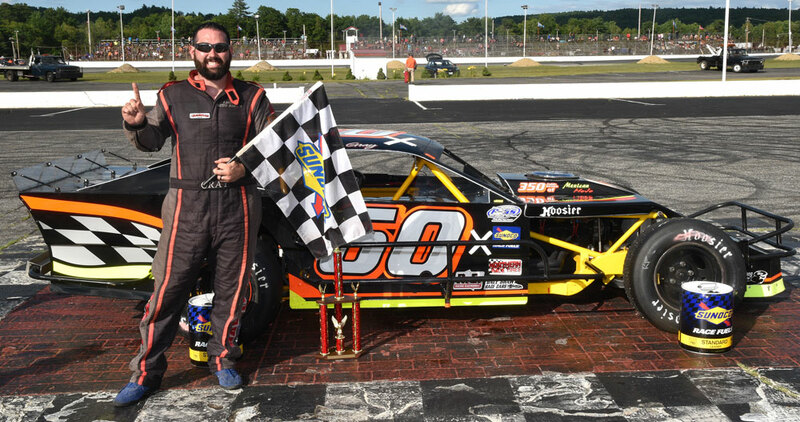 Closing in on the 45th Annual Oxford 250 and the chance to win up to $50,000, several drivers will be looking to maximize their opportunity to get track time at Oxford Plains Speedway this weekend. 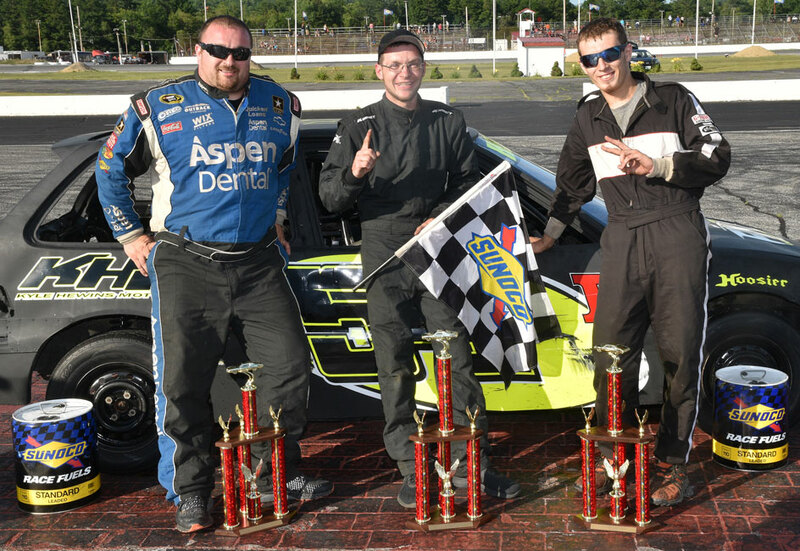 Thus, expect several PASS teams to compete in the Budweiser Super Late Model race on Saturday night. Likewise, with three months left until the PASS Super Late Models hit Richmond Raceway for the inaugural PASS Commonwealth Classic, the entry list continues to grow. Former PASS champions, Matt Craig, Tyler Church, Tate Fogleman, and DJ Shaw have all filed entries. PASS National championship contenders, Derek Griffith, Ray Christian, III, Jared Irvan, and Ben Rowe will be at Richmond, along with frontrunners Eddie MacDonald, Brandon Setzer, JP Josiasse, Jody Measamer, Jeff Batten, and Brandon Lynn. 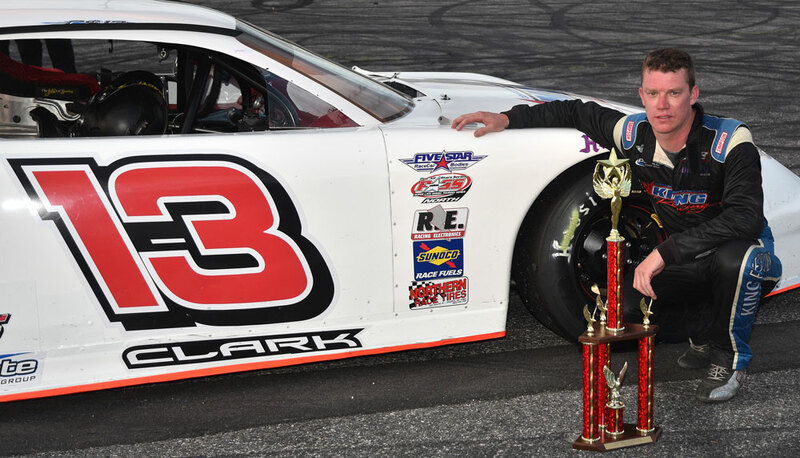 A huge field of New Englanders is expected at Oxford Plains Speedway this weekend, including all of the championship contenders, along with former PASS North champions, Johnny Clark and Ben Rowe, and former Oxford 250 winners, Wayne Helliwell, Jr. and Curtis Gerry. Nearly 30 cars are currently entered for Sunday afternoon's 150 lapper at Oxford Plains Speedway. All the action gets under way this weekend at Oxford Plains Speedway on Saturday with local action beginning at 7 PM featuring the Super Late Models, Street Stocks, Bandits, Figure 8's and Rookies. On Sunday, racing starts at 4 PM for the PASS North Super Late Models, PASS Modifieds, and race #1 of the Bandits Triple Crown. PASS Super Late Model entry forms for Oxford Plains Speedway, Lee USA Speedway, Star Speedway, South Boston Speedway, and Speedway 51, along with the 45th Annual Oxford 250 and PASS Commonwealth Classic at Richmond, can be found at ProAllStarsSeries.com. The Pro All Stars Series is recognized as North America's premier sanctioning body for asphalt Super Late Models and boasts such marquee events as the legendary Oxford 250 at Oxford Plains Speedway, PASS South's Easter Bunny 150 at the historic Hickory Motor Speedway, and the inaugural PASS Commonwealth Classic at Richmond Raceway.